Member, Board of Directors. Chairman of the Advisory Board. 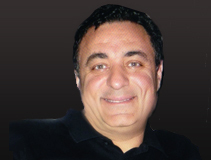 Mr. Kaviani has a track record of building and leading successful internet companies. Currently he is the CEO of HyperOffice, a leading player in the rapid growth cloud collaboration market that he co-founded in 2004. He co-founded the company HTR in 1987 and was Chairman and CEO. He was Executive Vice President of Business Development at VCampus focusing on the public sector market, and co-founded Saba, a human development software company that is publicly traded on NASDAQ. He serves as the Chairman of Advisory Committee and as Director of Company com Corp. Mr. Kaviani holds a B.A. in Economics from the University of Maryland.